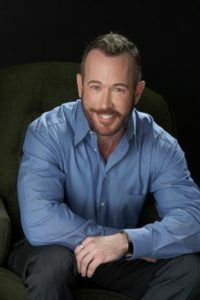 While thinking back on my experiences as a therapist who specializes in working with people living with HIV, it’s rewarding to think of how so many clients have made such dramatic improvements in their lives once they accessed mental health services as well as good medical care. They were able to overcome any fears of seeking out mental health treatment and learned how to cope with their particular situations. My sister, animal rights activist and author Jill Howard Church of Atlanta, Georgia, recently wrote an excellent piece recently on the history of the portrayal of gay and lesbian characters on television, even though she is straight with a husband and two kids and I’m the gay one in the family. Feeling like I should return the literary favor, I decided to consider writing about some of her world as an animal rights activist and think about how that pertains to my area of HIV mental health as a psychotherapist living with HIV. Just Diagnosed HIV+: OK, Now What? I read Positive Outlook every month and I appreciate your discussions. I wondered if you could help me. Unlike so many in the U.S., I have good health insurance and a good social support system. However, ever since I found out I was positive about a year ago, I’ve been on a downward spiral. I haven’t been back to my doctor in many months, and I haven’t done anything to deal with HIV except have a confirmatory second test. I’m not in a good place because I find being diagnosed overwhelming. I just have one question: Where does someone start? Read moreJust Diagnosed HIV+: OK, Now What? After living on the west coast for a number of years, the ritual of “spring cleaning” practiced by many in the Midwest and the East is a faded memory. But for many people in the country, warmer weather in the spring means opening the doors and windows that were shut all winter to keep out the cold. Once open, it’s time for things to move in and out more easily – sweeping the dust out the door and letting the new warm fragrant breeze in. It can also be a good time for home maintenance like re-painting walls, bringing in new furnishings, or cleaning out things to give away to charity. In the earliest years of the HIV/AIDS epidemic, many people were distressed by the appearance of nickel-sized purple lesions on their bodies and faces that were a visible sign of living with Kaposi’s Sarcoma, an AIDS-related opportunistic infection. The lesions involuntarily “outed” them as having the highly stigmatized disease of AIDS. Society’s reaction to patients with these visible symptoms often caused additional psychological distress to people who were already fighting a host of medical challenges in the days with almost no treatment options. Most of these columns have focused on advice or suggestions for how someone living with HIV/AIDS can improve their own mental health for a variety of topics. Recently, I had a request for a column on how family and friends can help. Too often, friends and family want to help out or react to a person’s HIV disclosure the “right” way, but they’re not sure how. As a mental health professional and licensed clinical social worker, one of things I do with a new patient is to take a thorough “psychosocial assessment” – basically, his or her life story in one hour or less. I ask about family history, history of current symptoms (depression, anxiety), current medications, work history, health experiences, education, social support, hobbies, and cultural background. But I also ask about his or her current and past socio-economic status; what “class” did he or she grow up? I ask this because I think the issue of money in American society is one of the most emotionally-laden, and can shape – positively or negatively – a person’s experience of the world. Recently my friends, colleagues and I have debated the idea of “magnetic” or “sero-discordant” romantic relationships, where one partner is HIV-positive and the other is HIV-negative. It seems opinions for and against can be adamant. My predecessor writing this column, Dr. Tony Zimbardi, is also a psychotherapist living with HIV, and he and I are friends and colleagues in Los Angeles. He has written about this topic before, but we disagree on this issue. It seems like everyone in HIV care recently uses the word “adherence” as often as a transcendental meditationist uses the word “om”: over and over again. But isn’t that what “adherence” is? Taking your colorful collection of pills “over and over” again? Millions of people worldwide now toast themselves once or more times daily with a “cocktail” of antiretroviral medications. I love Halloween. Maybe it’s because of the theatricality of it, with costumes and props, or maybe it’s because of my addiction to chocolate. Author Peg Aloi, an expert on Pagan holidays, explains that Halloween, or “Samhain” as it is sometimes called (which means “summer’s end”), is observed as a celebration of the last harvest of the year before winter.